Want cookies in a Jiffy? How about using a Jiffy Corn Muffin Mix to make some? What kind of cookies does a box of Jiffy mix make? When I think of country living, I think of farms and tractors. What comes to your mind? I grew up on a farm and we had a John Deer tractor similar to the one below. My Dad use to give us rides on it when we were little and as we got older, we were taught how to drive it. We thought it was the best thing to do and use to beg our Dad to let us drive the tractor. Welcome to this week's party. Last week saw so many amazing posts, with stories, recipes and awesome DIY's. Thanks so much for celebrating the start of Summer with us last week! We had an amazing time, and the posts were no less amazing! Thank you so much for joining in the fun! And if you're new here...welcome! Feel free to share, share, share! Welcome to the Over the Moon Link Party! You can link up any family friendly posts without profanity. Have a post you want to give more reach? Need some comments or shares? Want a post that's close to going viral takeoff like a rocket? Now is the time to link it up! We pin EVERY link you leave and may even share on other sites as well! So come on in, be one of the first to link up, and remember to go Over the Moon with us! 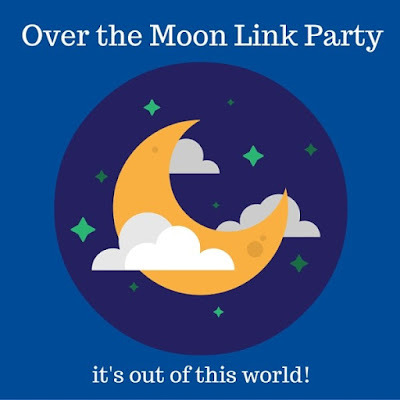 Statistics for Over the Moon Link Party #28 saw 1252 pageviews, 118 links, and 256 clicks on those links. We've had some people not following the Over the Moon Link Party rules lately. We want to be fair to everyone and will have to ask you not to link up anymore if you can't play nicely. Thank you so much for partying with us! Welcome to Happiness Is Homemade Linky Party. We had such an awesome linkup last week with so many amazing posts. Check all the features below. Have you found a "trash" item that became a treasure to you? I have found many trash items, although I did not keep all of them. However, when I found these vintage wooden chairs just sitting there waiting for garbage pickup, I had to save and keep them. Garbage pickup is like dumpster diving without having to climb into a dumpster. Win a trip for two to Positano, Italy! Have you seen this fantastic opportunity on Bloglovin? Don’t miss your chance to win this culinary adventure of a lifetime! Contest closes on July 10th so don't delay! Enter for your chance to win this fabulous trip. Can you imagine the cooking lessons? Not to mention how beautiful it is there. 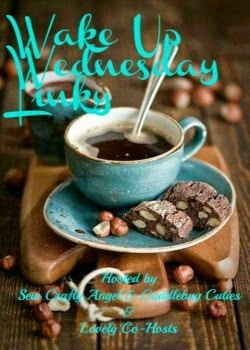 I am really lucky to have all of your amazing posts because, it is you who make the Wake Up Wednesday party so special! You are all so talented and share such wonderful posts! Thank you to everyone who joins me at Wake Up Wednesday! Don’t forget to Comment your link #’s so I can be sure to visit and you get a chance to be featured! Tina chose DIY Painted Keys Using Nail Polish from White House Crafts. "What a cute and practical project!My keys are going to be painted:)Love it! Thanks for sharing this fun project with us."